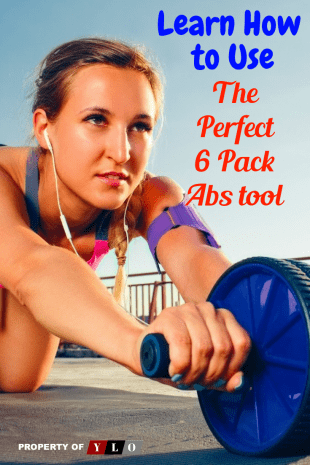 Lower Abs Exercises and Upper Abs Exercises are both needed for 6 Pack Abs. You can use Ab exercise equipment in a gym or use your own body weight exercises at home. The weather is warming up tremendously, and this summer looks to be a hot one. For some people, this means whipping out the rock-hard abs and beach bodies they’ve been slaving over during the winter months. For others, this might be the last chance to whip that midsection into shape right in time for swimsuit weather. If you’re looking to shave off a few extra pounds by the time the summer rolls in officially looking no further than these lower abs exercises that are bound to tone and tighten that midsection in no time. Keep in mind it is highly recommended to consult a physician before beginning any new workout routine or dieting regime. Be sure to consult a doctor or physician if any of the following exercises lead to injury whether minor or severe. High-intensity interval training is one of the most efficient ways to burn and keep fat off. It’s the first step in acquiring flat, well-defined abs and shed those pesky unwanted pounds. 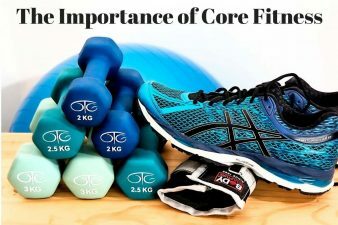 High-intensity interval training or HIIT is a very particular type of training that needs to be done correctly in order to reap the benefits. It is possible to perform HIIT without actually performing an entire HIIT workout. Fitness experts advise that the point of this training is to ramp up the intensity of cardio during a workout. In short, HIIT is a cardio session with short “bursts” of intense work followed by short “breaks” in intensity. In essence, when performing a HIIT session, you should push yourself to your maximum limit every set. The intense part of the workout or “bursts,” should last anywhere from 20 to 90 seconds, before returning to the low-intensity part of the workout. Studies have shown that HIIT can boost endurance, increase metabolism, and shed body fat. Experts recommend routines that involve using bodyweight, for example, push-ups. 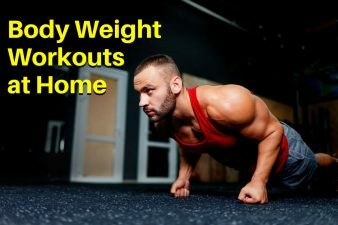 Or adding weight such as dumbbells, kettlebells, or medicine balls as these will help with strength development and toning muscles while spiking the heart rate. There are numerous ways to work your abs, but the lower abs exercises are not easy to come by. The obliques and upper abs seem to get all the attention, while the lower abs are not as easy to target. Technically there is no such thing as “upper abs” and “lower abs.” When people refer to these, they’re actually talking about the “six-pack muscles,” which runs from your pelvis to your sternum. It’s possible to work on one part of these muscles (like the upper part) while the lower part just mellows. The movement you’re doing will determine which areas of the muscle (and the rest of your core) will be involved. Traditional crunch exercises don’t cut it anymore. While crunches are still quite effective at strengthening those core muscles, they aren’t as effective at burning belly flat for a solid core. Having a strong solid core is more than just washboard abs. In fact, a solid core helps with posture, back pain, and balance. Incorporating the reverse crunch into your lower abs exercises routine is the most effective way to work on your lower abs. To perform the reverse crunch first lie down on your back with your lower back pressed firmly against the ground. Next with your arms placed down at your sides, with palms down, lift your feet off the ground and make a 90-degree angle at your knees. Using your abdominal muscles raise your legs toward the ceiling. Do this for 30-35 seconds for three sets. If crunches are your thing, there’s no need to stop doing them. However, you might want to change your crunch routine up a bit to get more out of the exercise. Twist crunches will give you all the benefits of a regular crunch but will help target the internal and external oblique muscles a bit more thoroughly. To do a twisting crunch, first, lie down on the floor with your hands behind your head. Bend your knees and rotate your hips to the left. Unlike normal crunches, instead of lifting your upper torso, lift your right shoulder towards your left while keeping the left side of your torso on the floor. Repeat the same on the right side. Repeat this exercise 10 times per set. Side crunches are another way to beef up the normal crunch routine. Similar to the twisting crunch, the difference is that you will need to lift your leg to the same side simultaneously with your shoulders. Side crunches are excellent in that they target the external oblique muscle groups spectacularly. Be sure that when performing the side crunches, that you keep all movement steady. It is easy to injure yourself by performing these movements in a hurried fashion. Perform this routine 10 times per set. The plank is perhaps one of the simplest exercises to perform. While looks can be deceiving with this exercise, the results are not. Plank exercises train the muscles surrounding the abdomen, hips, and lower backs and is an excellent exercise to condition the core. While it may look as if you’re doing nothing at all, the plank helps burn fat and tone the stomach. It is one of the best lower abs exercises. To perform the plank, place yourself on the floor with your knees and elbows on the ground. Lay flat and be sure to keep your neck aligned with the spine. Facing forward, lift up your knees and support your legs on your toes. Breathe normally and hold this pose for 30 seconds. Do this 5 times per set. Lunges are a great exercise that helps burn body fat quickly. Not only do lunges help target your lower abs, but they are also an incredible workout for your hamstrings, buttocks, and thigh muscles. In particular, performing twist lunges help your core muscle groups as well. To perform this easy exercise simply stand with your legs hip-width apart. Be sure to keep your knees slightly bent. While lifting both your hands in front of you, making sure they are parallel to the ground. Step or lunge forward with your right leg and make a 90-degree angle with the floor. Keep your spine straight, make sure not the bend your spine forward. Once you’ve done this motion twist your torso, not your legs to the right and then to the left. Repeat this exercise 15 times per set. Don’t let the name of this exercise fool you, no equipment required. Bicycle exercises are an amazing way to punch up a normal crunch routine. As one of the lower abs exercises, this exercise strengthens your core muscles and helps balance your trunk. Its an easy exercise to execute as well. Begin by lying on the floor with your hands behind your head as if you were doing crunches. Lift both legs up and bend them at a 90-degree angle. Then bring your right knee close to your chest while keeping your left leg away. Touch your right knee with your left elbow. Now repeat the same exercise with the left knee. Keep the motion fluid and steady as if you were riding a bicycle. Perform 10 times per set. Push-ups are one of the most effective all-body workouts for flat stomachs. Not only do push-ups strengthen abdominal muscles, but it also helps strengthen upper-body muscles as well. Not bad for a two in one exercise. The key to push-ups is holding your abdominals still while defying gravity, whose intention is to pull your hips toward the ground. To perform push-ups first lie face first on the floor with your hands at your sides. Make sure that your back is completely straight. Bringing your arms forward place your hands directly beneath your shoulders. Push your body upwards until you’re in plank position. Breathing steadily hold this position for a few seconds and then slowly begin to lower yourself to the ground, keeping your back straight. Do not touch the floor instead hold yourself steady, parallel to the floor for a few seconds before pushing yourself back up again. Perform this routine 10-20 times per set. Some might think this exercise looks a little silly. But the benefits of this exercise are tremendous. Unlike the traditional crunch, V-ups target every one of your abdominal muscles, conditioning them to be the strongest they can be while supporting your core. As one of the best lower abs exercises, V-up exercises are not for the faint of heart, in fact, they can be downright painful. But that belly fat isn’t going to go away all on its own. Flat stomachs are hard work. To perform this intensive exercise, simply lie down on the floor as if you are going to do crunches or sit-ups. Now with your arms and legs extended, lift them both up in the air towards the ceiling. Slightly lift your upper torso stretching your arms in front of you. While in this position bring your leg forward and attempt to touch your toes with your fingers. This workout is a killer tummy fat burner. Of course, everyone knows that exercise is key to weight loss. But the hardest part of weight loss isn’t burning the fat through exercise, it’s watching what we eat. It’s important to follow a healthy meal plan when working out. Often people mistake losing weight with the absence of food when in reality it’s about consuming the right kinds of food. Losing weight can also be difficult as an increased activity means the body burns more calories, thus requiring an increase in caloric intake in order to burn fat more efficiently. The fat loss portion comes in when you burn more calories than you consume. This is why it’s so important to eat the right foods to give your body the energy and fuel it needs to shed extra pounds. • Cayenne Pepper: According to studies, daily consumption of cayenne pepper and by extension one of its compounds, capsaicin, can speed up the abdominal fat loss. The pepper boosts the body’s ability to convert food into energy. Bonus points, this pepper is a natural appetite suppressant, meaning you’ll feel less likely to overeat. • Guacamole: It doesn’t take much guacamole to do the trick. In fact, one scoop has the ability to satiate hunger, is rich n vitamin B6, and contains monounsaturated fat, the “good” fat that prevents fat distribution around the belly. • Wild Salmon: This protein-rich super-food helps build muscle, which in turn boosts fat burning. Salmon also is a good source of omega-3 fatty acids which help fuel fat burn, aids in weight loss and blocks fat storage. • Dark Chocolate: Finally food for all those sweet tooths out there. Dark chocolate has become a healthy means to boost a body’s production of polyphenolic compounds that help encourage the body to burn fat as fuel. There are other foods that you should adopt your food plan to help you lose all those unwanted pounds. Be sure to add a little lean protein to encourage muscle development and by extension fat burning. Getting the best looking beach body is a lot of hard work and determination. Be sure that you are performing any of these exercises the correct way to avoid injury. While these are all great lower abs exercises, they are not all there is. Find the lower abs exercises that fit you best. After all, you will need to change up your routine in order to keep the workouts successful in obtaining your 6 Pack Abs. Once again be sure to consult a physician before beginning any new workout routine. Keep positive and be guaranteed that these workouts will have your swimsuit and summer ready in no time. 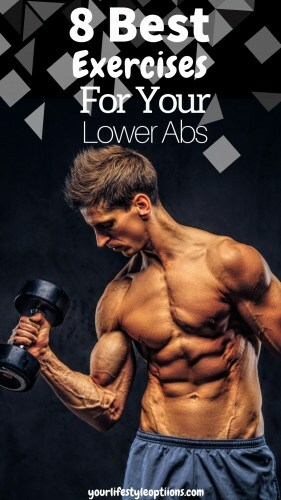 Let us know if you have tried any Lower Abs exercises and how it is working for you. Our readers all are looking for information on what others are trying.